The cannabis industry is projected to hit $31 billion by 2021, and with its growing demand comes a desperate need for scalability. 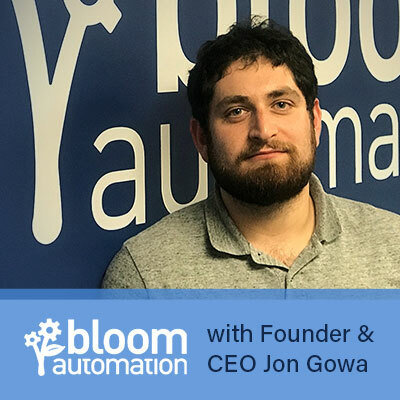 Enter Jon Gowa, founder and CEO of Bloom Automation, LLC, a Boston-based company revolutionizing the way we harvest marijuana through robotics and automation. Designed to “trim with the precision of a human, but the efficiency of a machine,” Bloom Automation’s robots use smart optics and proprietary algorithms to increase efficiency and cut production costs - an enticing proposition to the next generation of cultivation. In this episode, Jon shares a little about the goings on at Bloom Automation and the importance of robotics to the future of cannabis.